“Cortijada Los Gázquez (Joya: AiR) is so happily situated within this dramatic and scarce, hence rich landscape, it is impossible to escape its spell. The site has an incredible section with the house right in its middle. It is a site surrounded by food. The endeavour of local farmers to sustain their lives from and with the coarse soil is (still) visible everywhere. Almonds, almonds, almonds, olives, oats, figs, herbs, herbs, herbs, pomegranates; my favourite being the way the land is terraced to allow for food growing and natural irrigation. There is so little water! Except when there is too much, which I witnessed during my one-week stay in a rare ‘gota fria’. Donna and Simon have embedded their house, their art practice and their lives ever so carefully into this landscape making themselves part of it. Their attention to detail and beauty also signals the future: the rural and the urban are not enemies to fight but contrasts to be played on creatively. Being an architect and academic on a writing retreat, the ecology of the house became my key inspiration: what would have happened if our everyday lives had developed just slightly different? My context for this is the city, the block of flats, individuals’ homes and their urban networks. But my context is also the way in which Los Gázquez has embraced the necessity to work with the sun, the wind, the water, the food and the waste. I have written three articles about a slightly different urban present – a common future? - one about a washing machine, one about a letter box and one about a potato pantry. I’ll take them back to Germany tomorrow. Simon and Donna, good luck with reinstating the old ‘embalsa’; what a great project! I would love to come back and see that basin full of water and lush fruit-tree-lined food-growing terraces being naturally irrigated again”. Katrin Bohn is an architect, urban practitioner and academic. Her main research interests lie in sustainable architectural and urban design and centre around the concept of CPUL City (Continuous Productive Urban Landscape) which she developed within Bohn&Viljoen Architects since around the year 2000. Much of Bohn's design research deals with the relationships between urban space and food-productive urban landscape and bridges the gaps between environmental design thinking, urban space production and sustainable lifestyles. 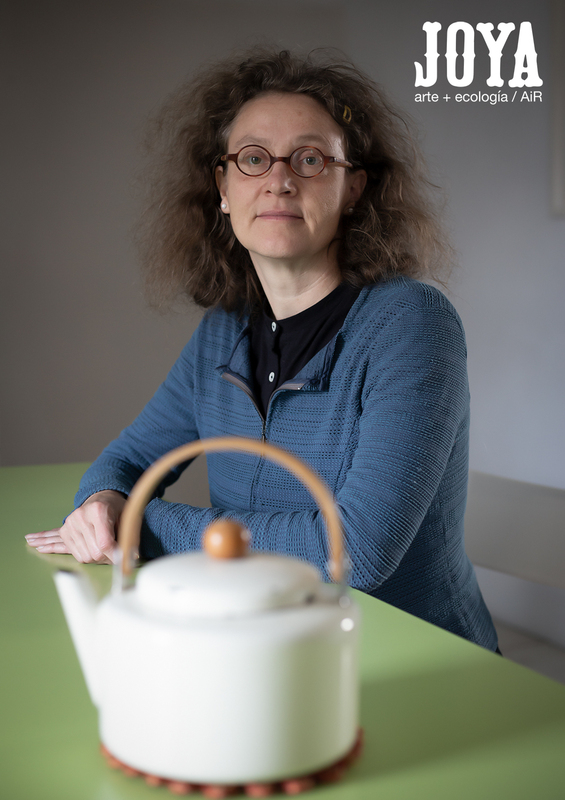 Since the UK's first urban agriculture conference Urban Nature (2001), co-curated by Bohn, she has contributed widely to conferences, publications, exhibitions and design and policy debates, both nationally and abroad. As an internationally recognised urban agriculture expert, she has also been advising on national and international research, policy documents and pioneer projects. Her work has been quoted by the UN and UNESCO and has influenced urban planning in the UK, as well as worldwide. Bohn studied architecture at the Bauhaus-Universität Weimar, Germany (Diploma in Architecture), the University of East London (MSc in Architecture) and the École d'Architecture de Nantes, France (DAAD Scholarship). Since 1998, she runs a London-based architectural practice and environmental research consultancy with André Viljoen (Bohn&Viljoen Architects). Before this, she trained in architectural practices in Germany, Brazil, France and Britain, including work for Jourda & Perraudin (Lyon) and Stefan Schrodt Architekten (Berlin).